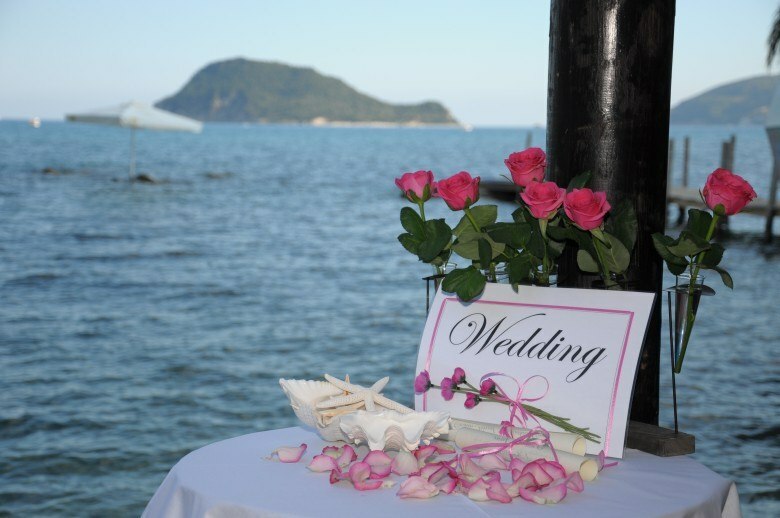 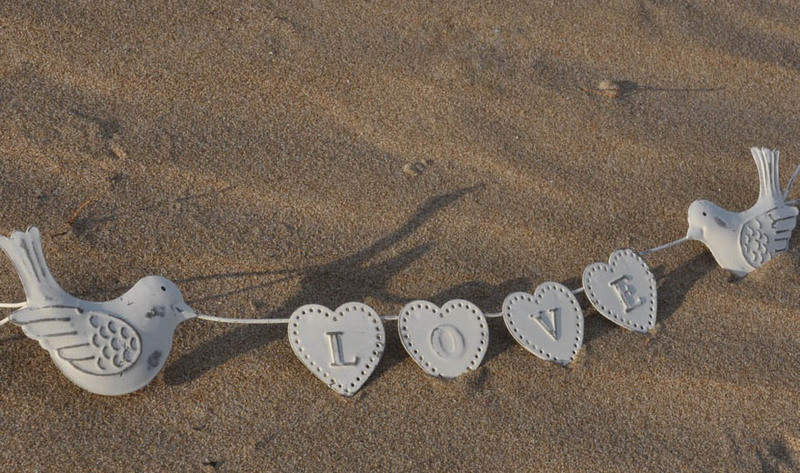 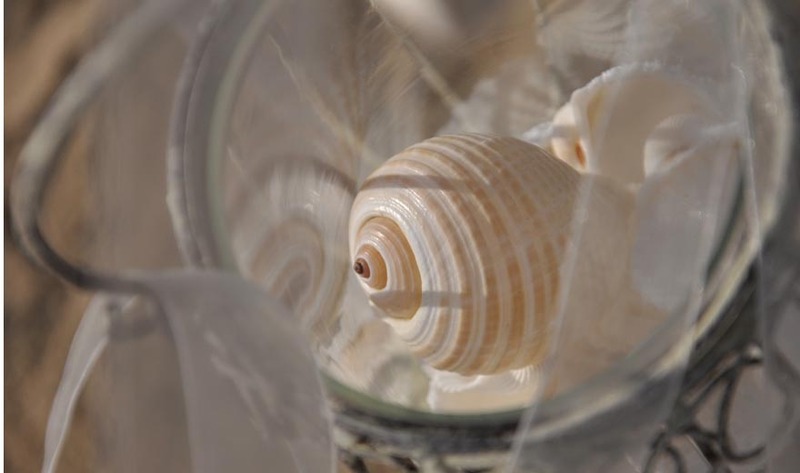 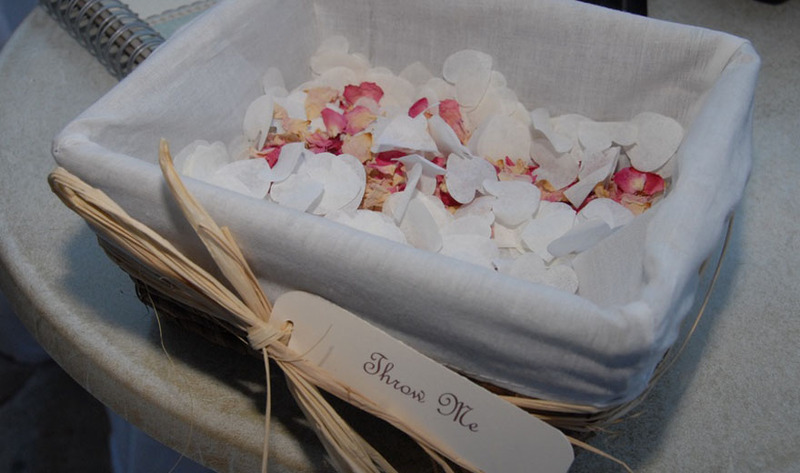 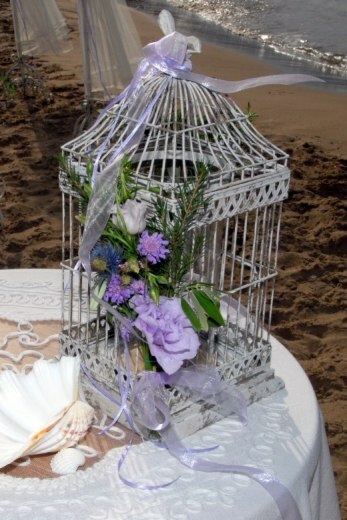 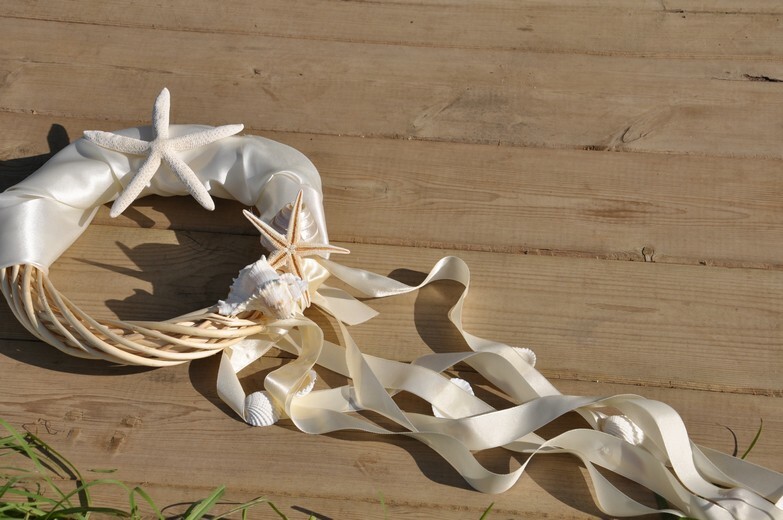 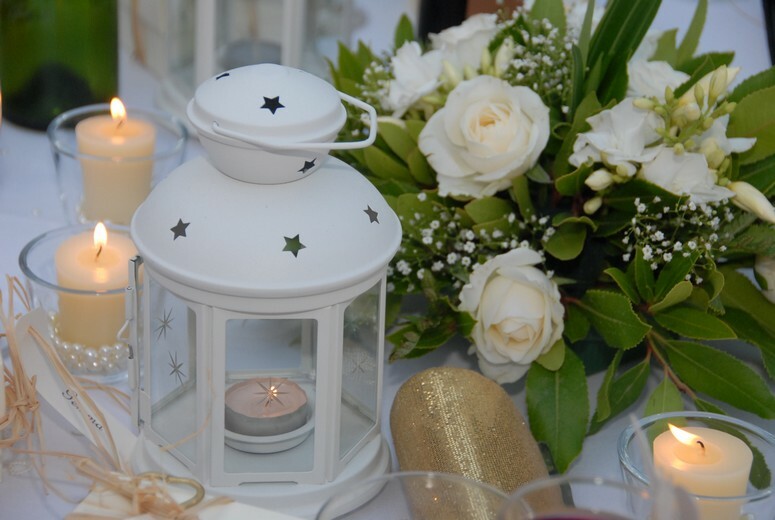 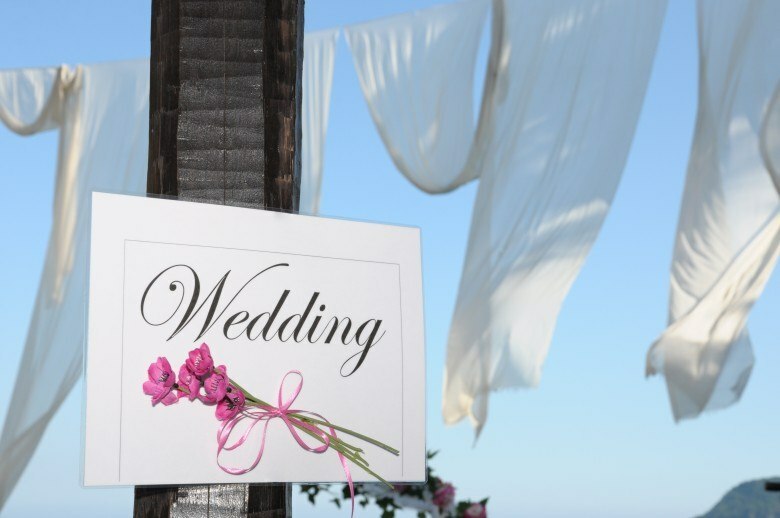 To make your wedding a unique event we have a big range of decoration options for the ceremony / reception venue, creating thematic weddings with decorations that match your colour scheme as well as the kind of atmosphere you want to create. 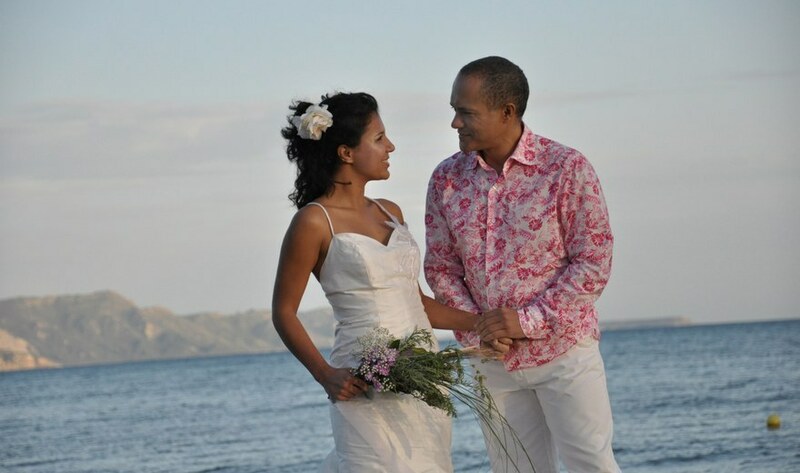 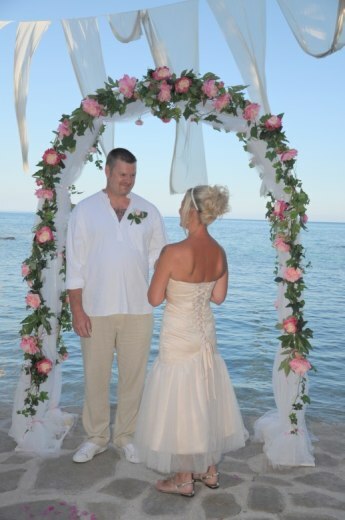 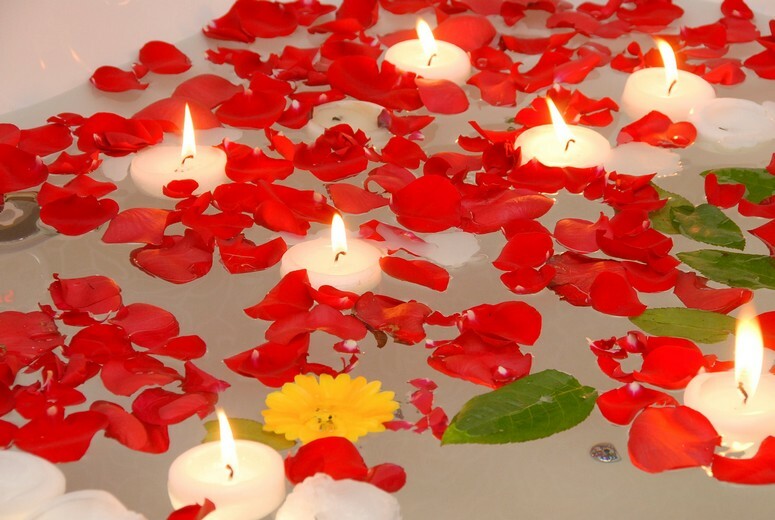 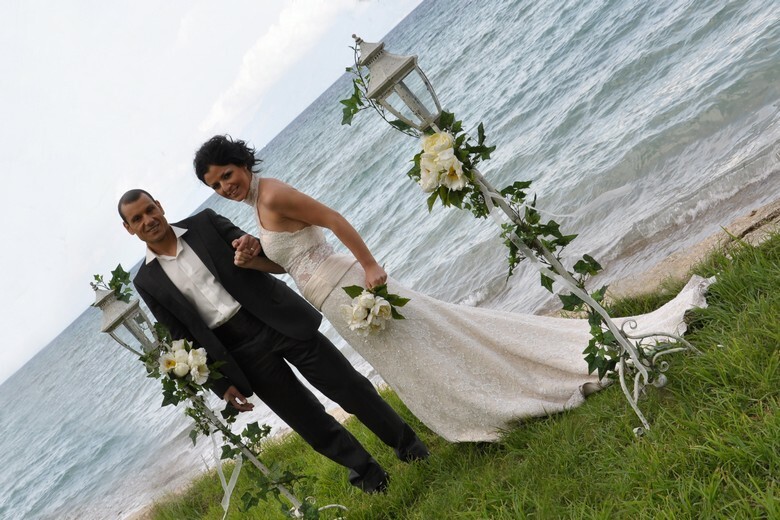 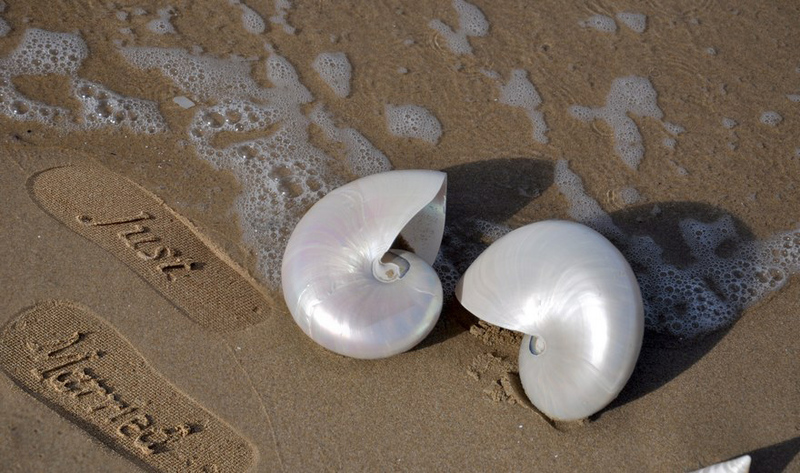 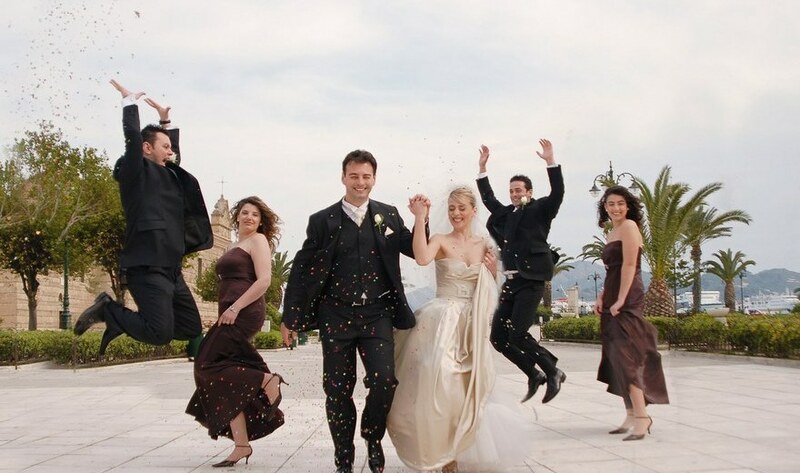 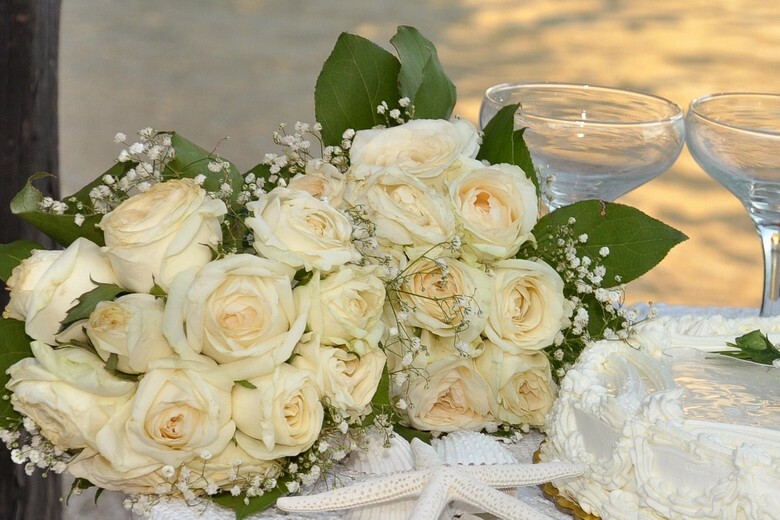 We listen to you and we jointly capture your dream to turn it into reality and create your Dream Wedding exactly as you have imagined it, leaving you stress free to enjoy yourselves with family and friends during the time leading up to the big day. 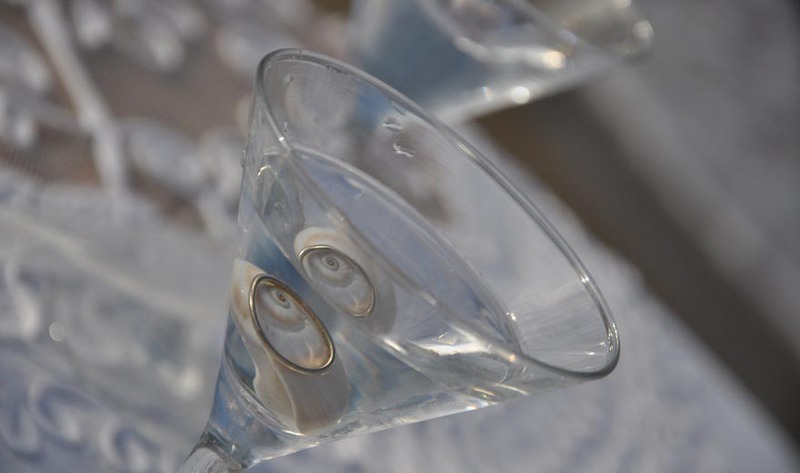 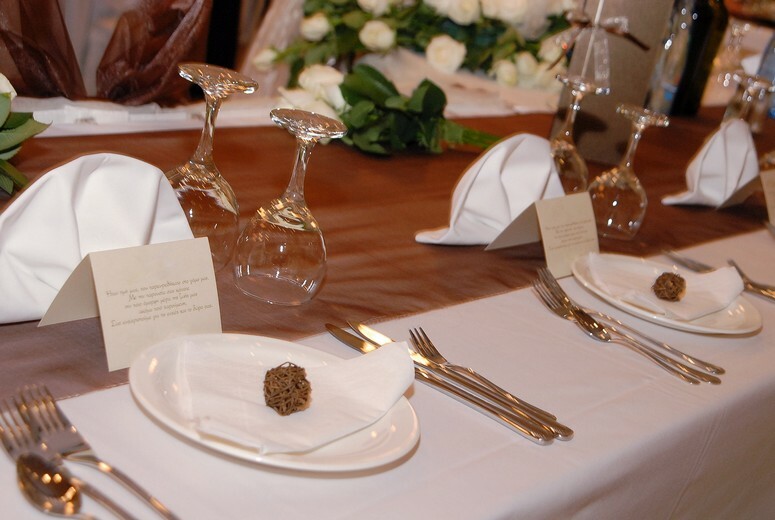 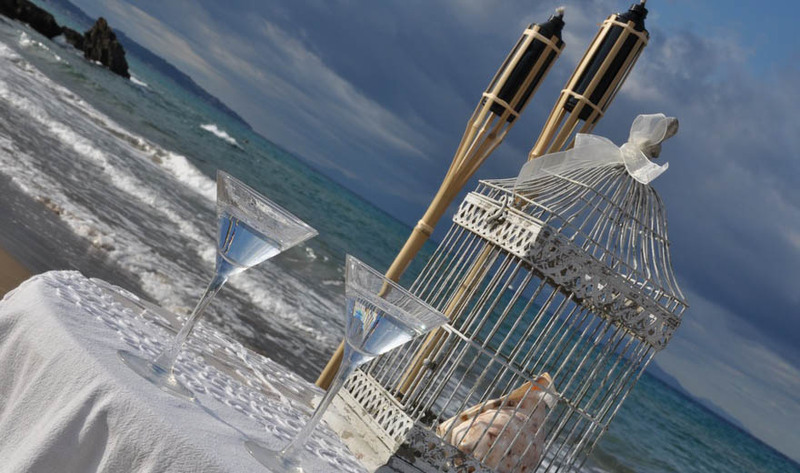 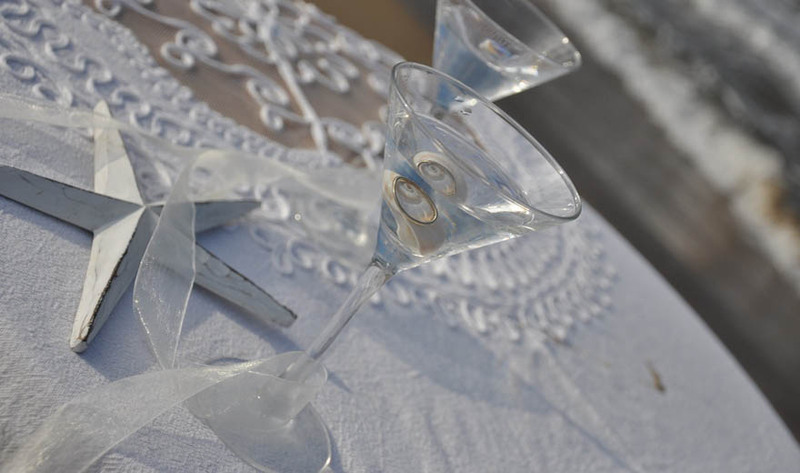 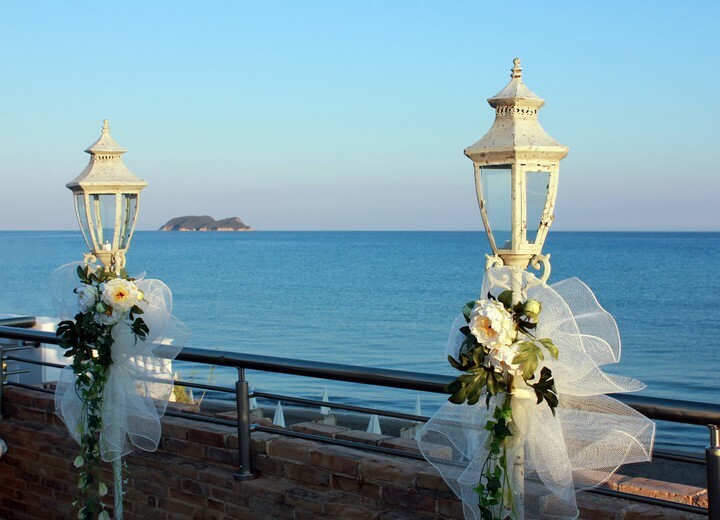 Our creativity, inventiveness, attention to detail and pursuit of uniqueness, founded on our training as designers-wedding planners and our long experience are all put into good use in creating an unforgettable wedding well beyond your expectations. 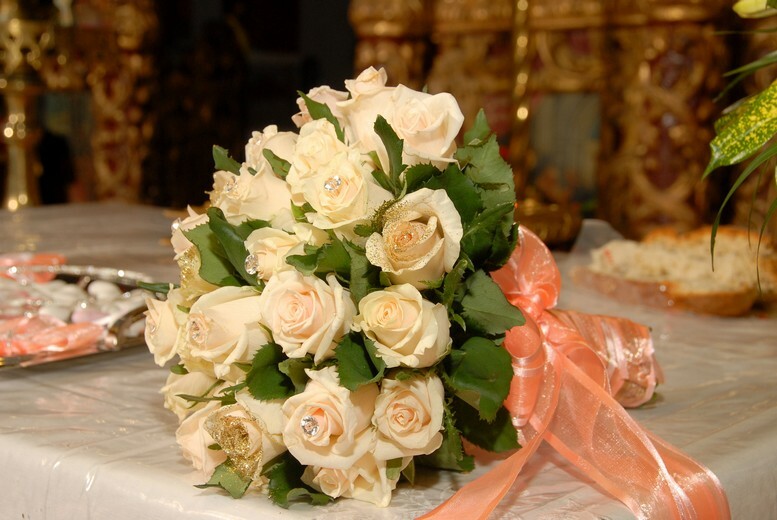 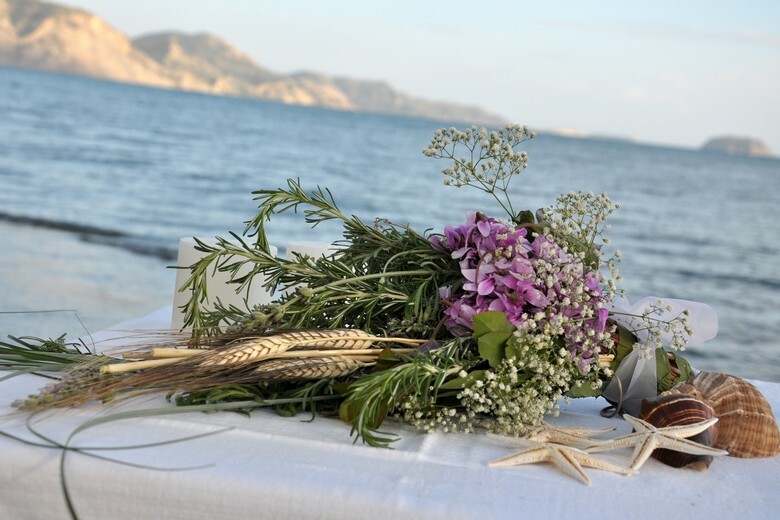 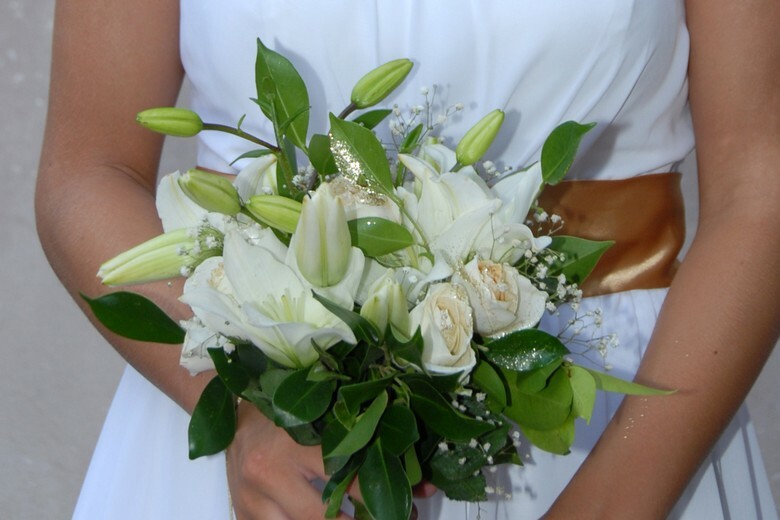 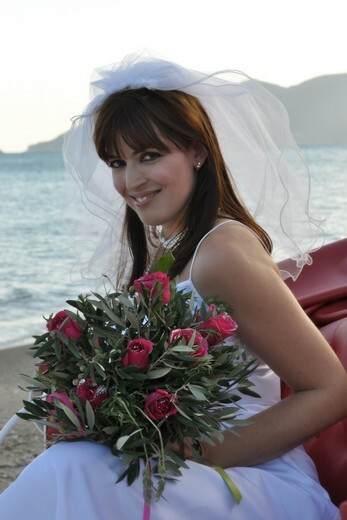 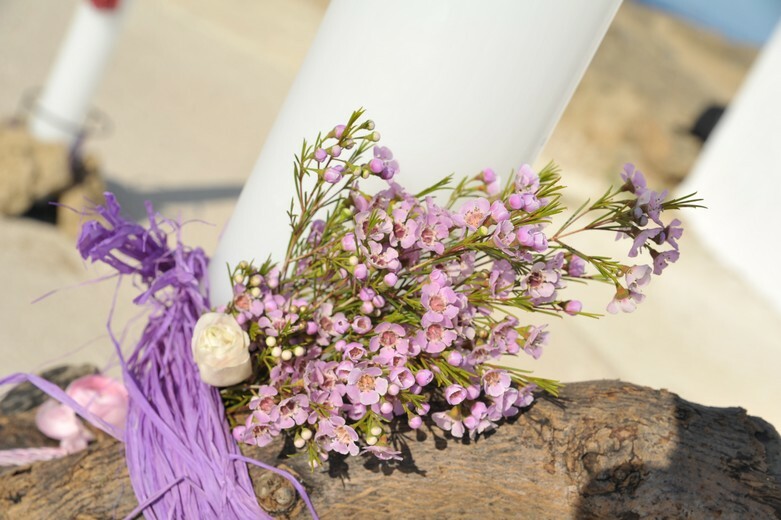 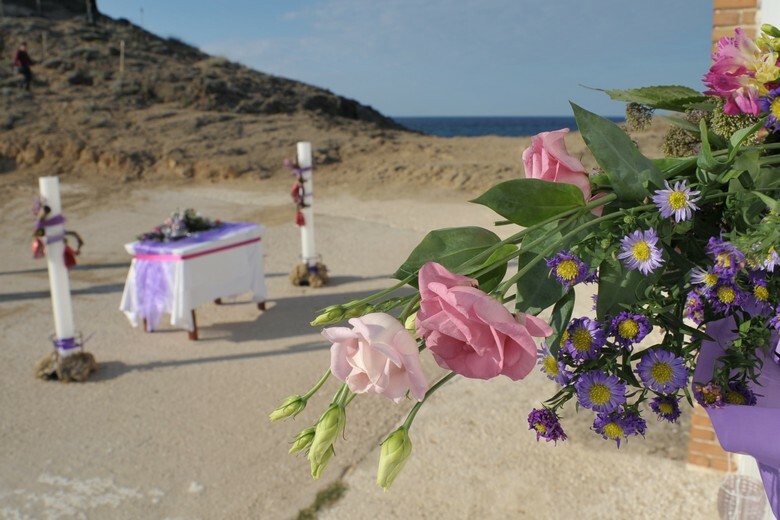 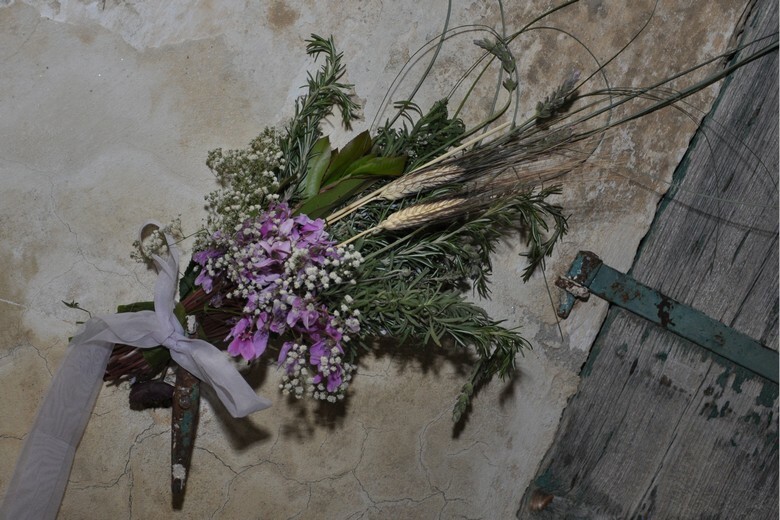 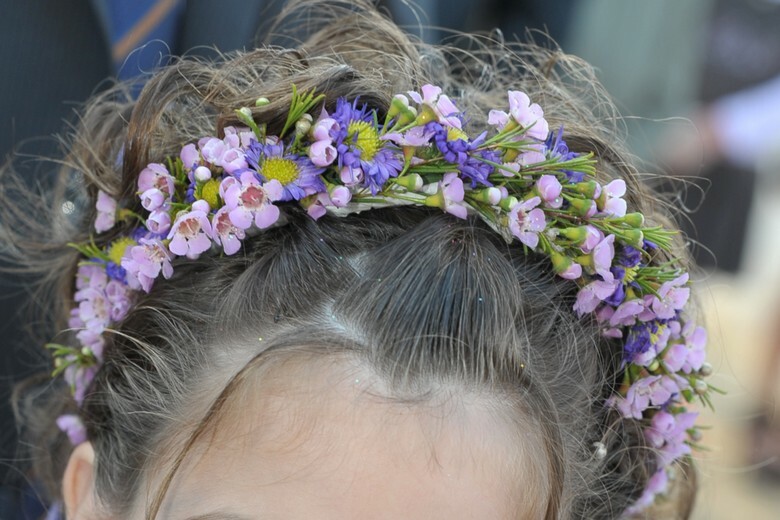 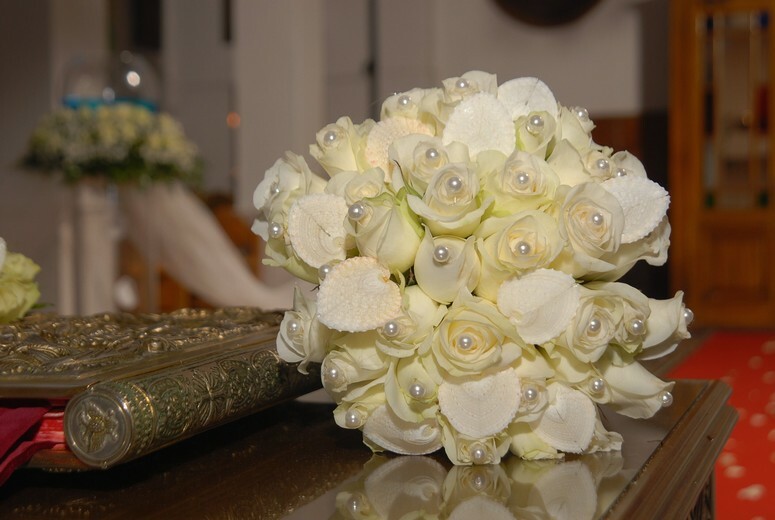 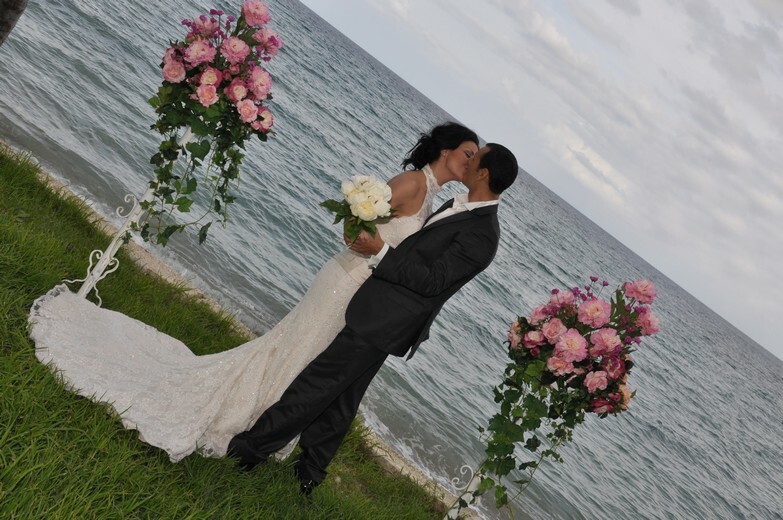 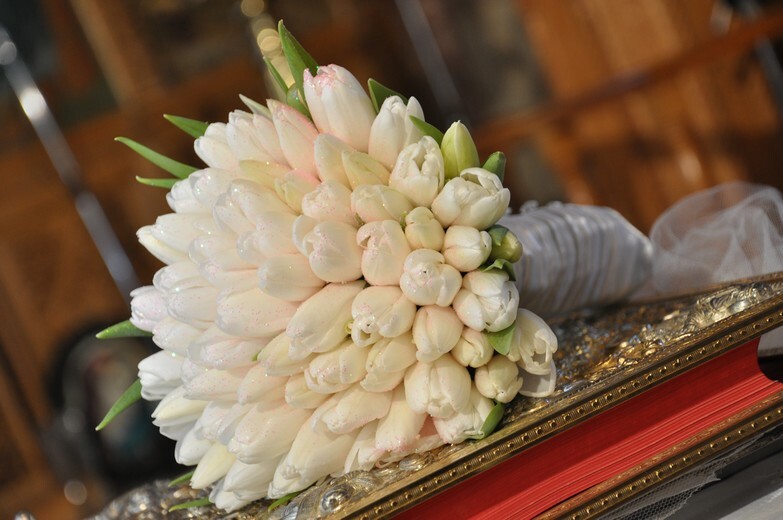 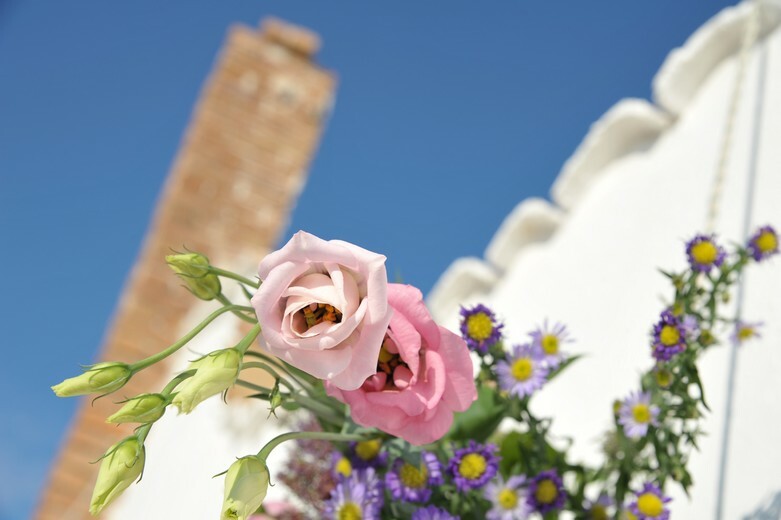 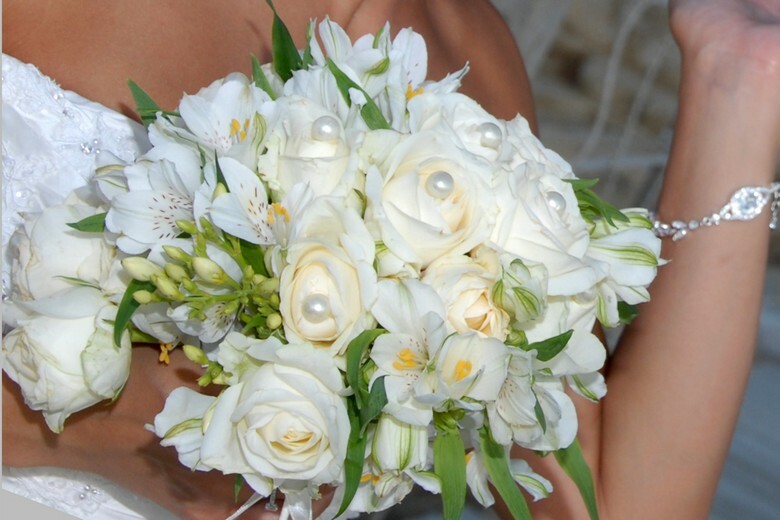 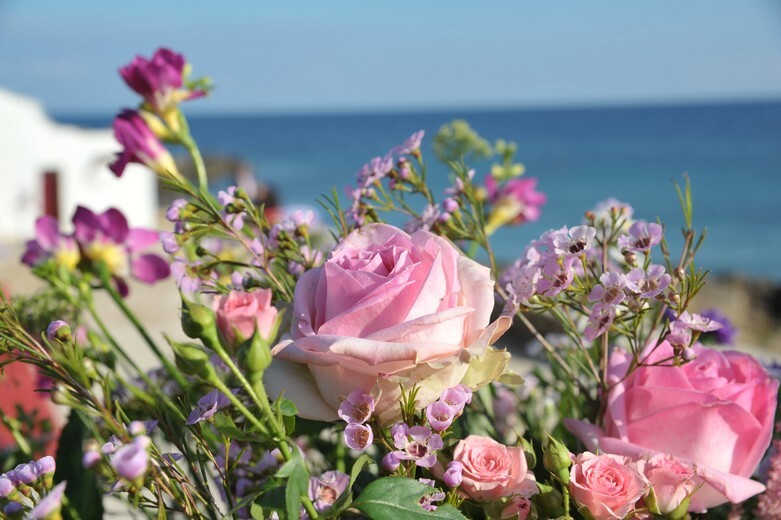 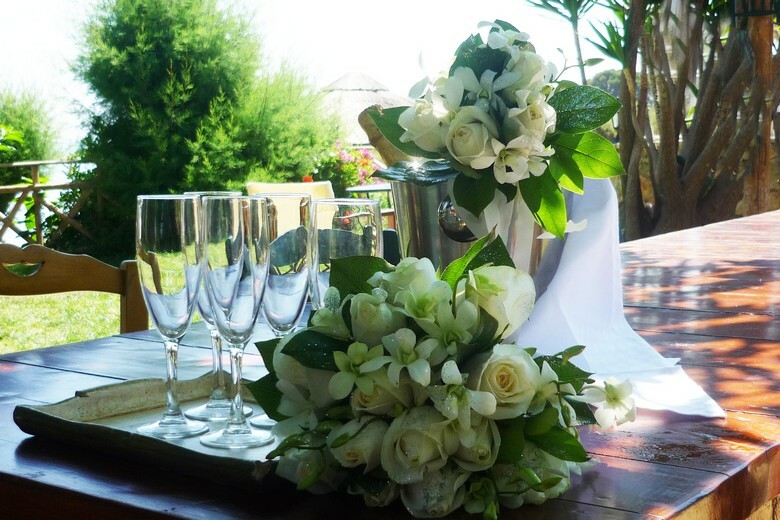 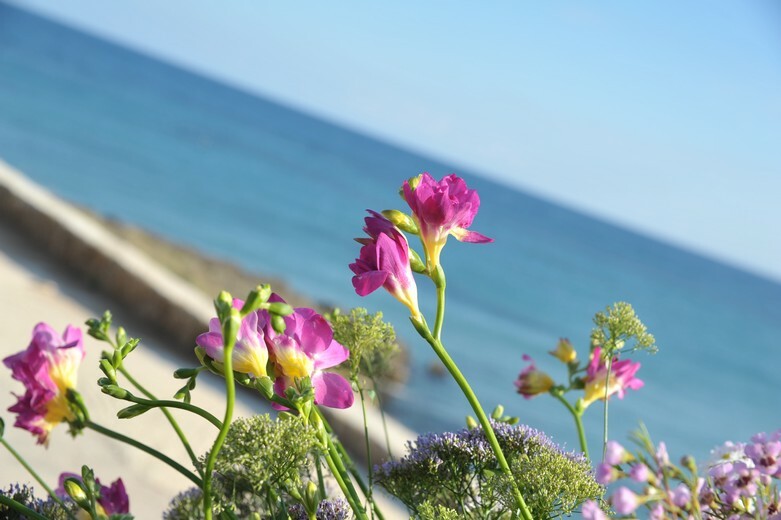 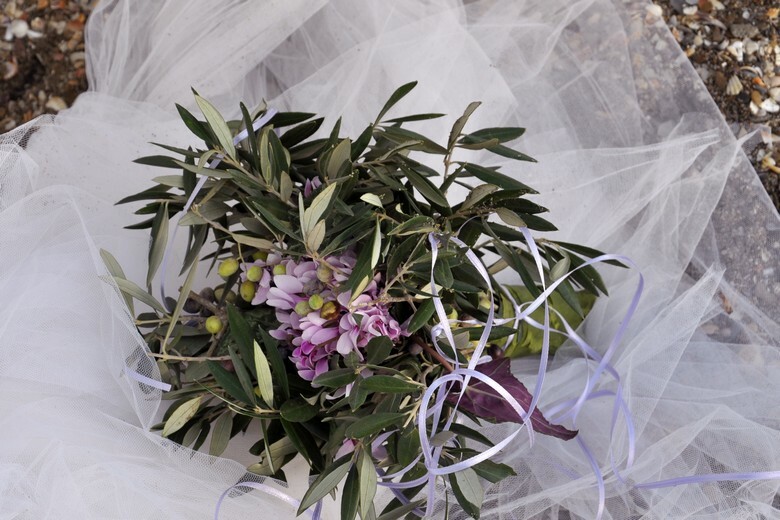 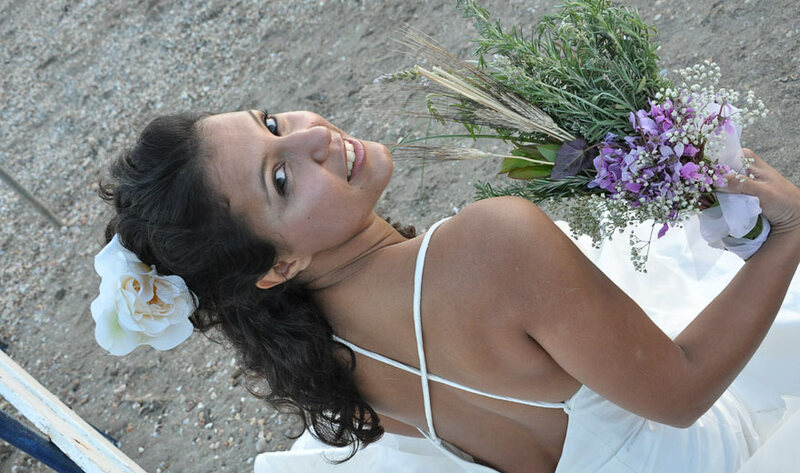 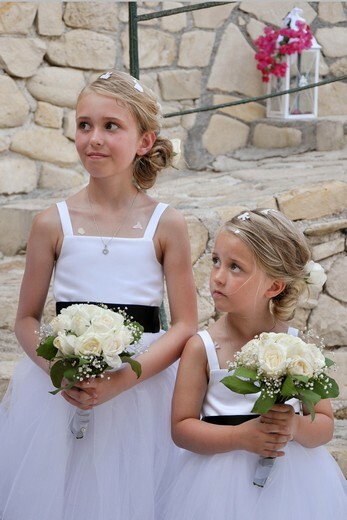 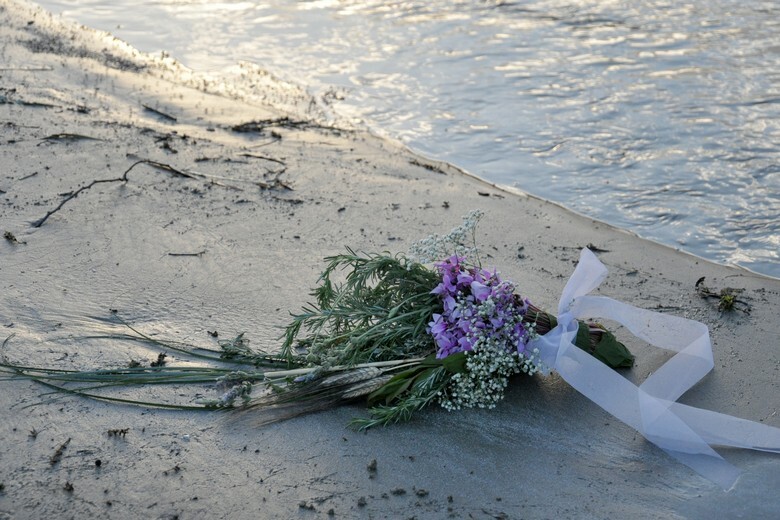 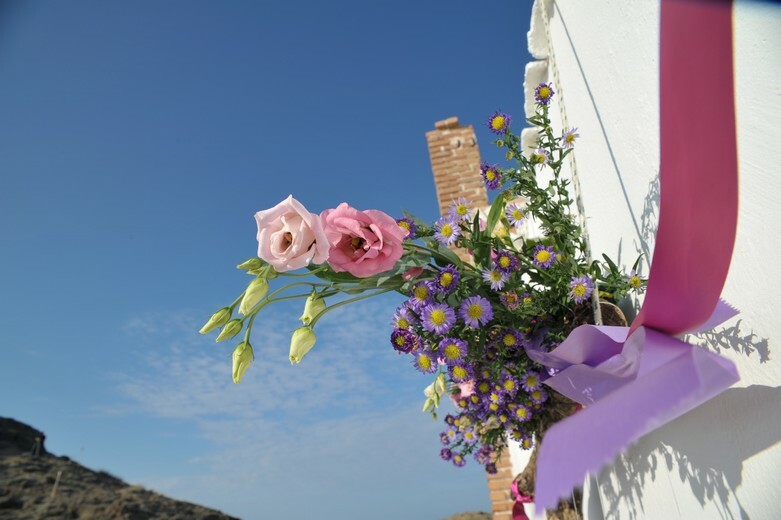 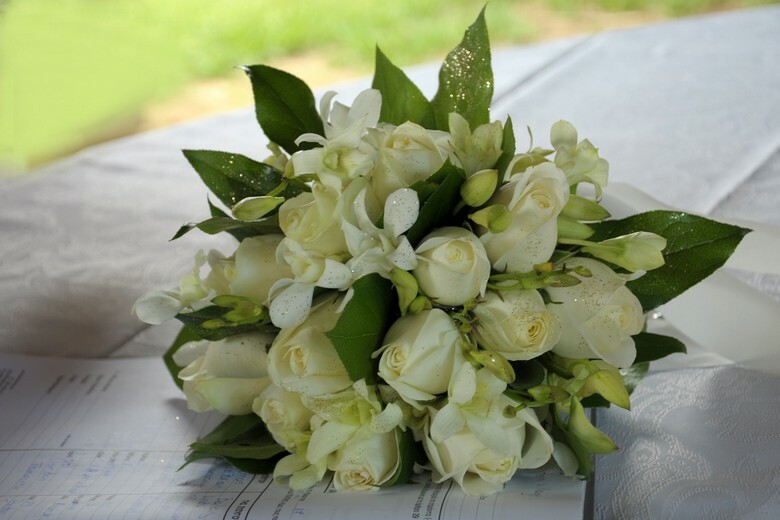 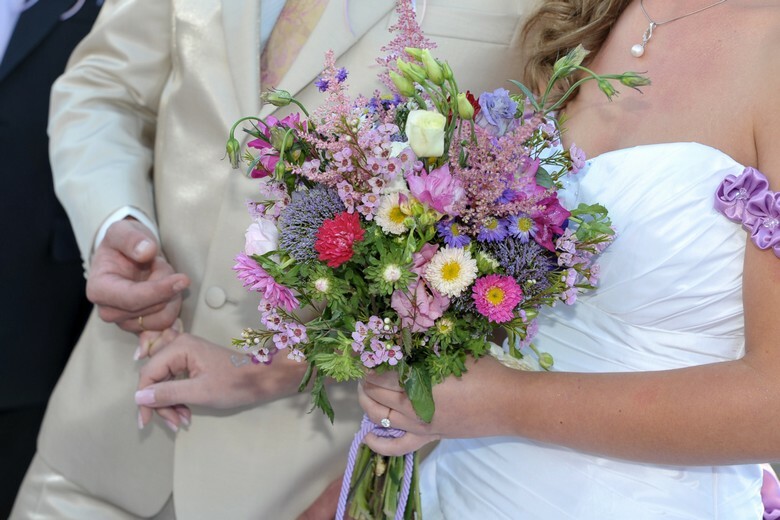 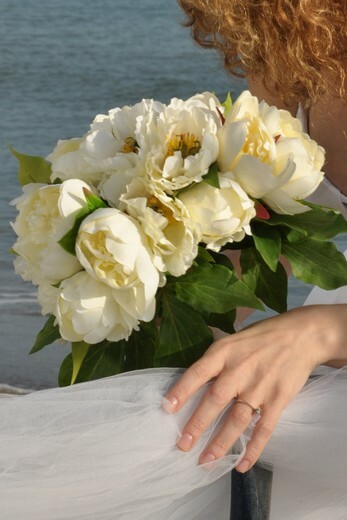 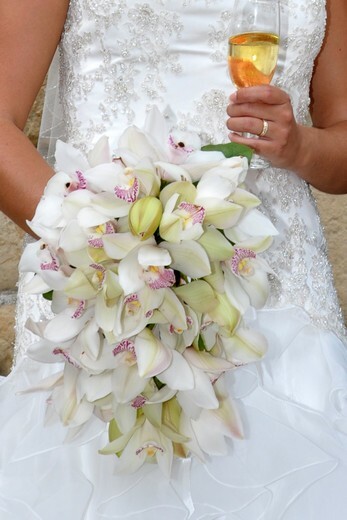 If you would like to experience the real fragrance of the Greek Countryside wafting in the air while you exchange your Vows, you can have a beautiful Bridal Bouquet made of local flowers and aromatic plants that are very delicate and beautiful with a touch of originality and style. 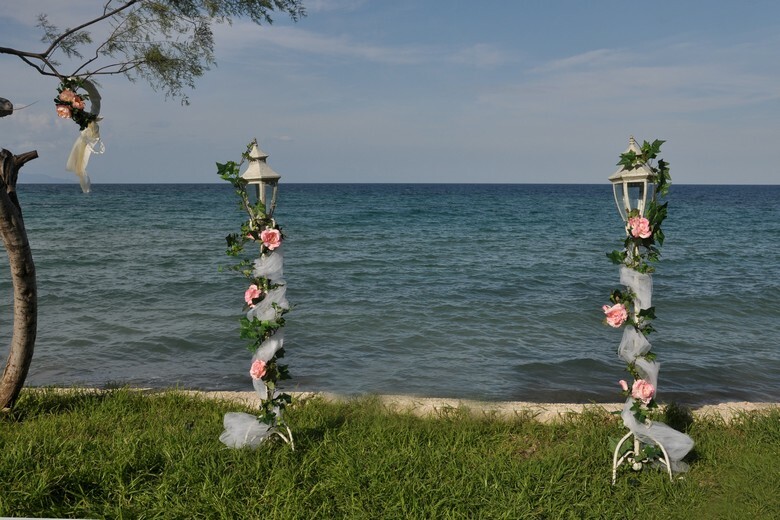 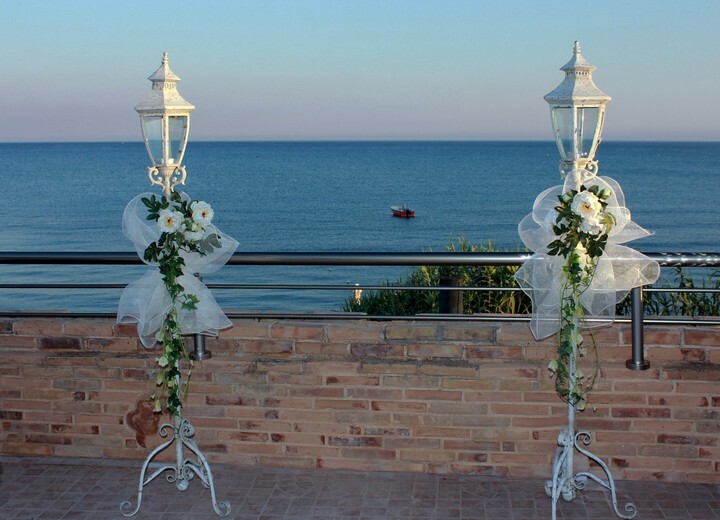 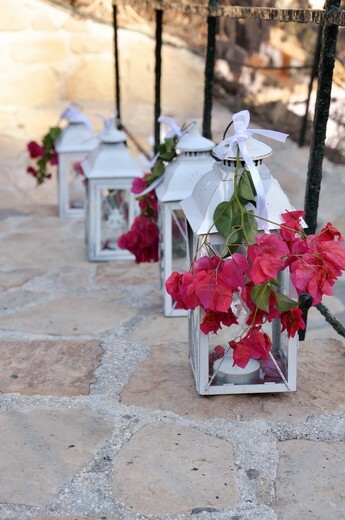 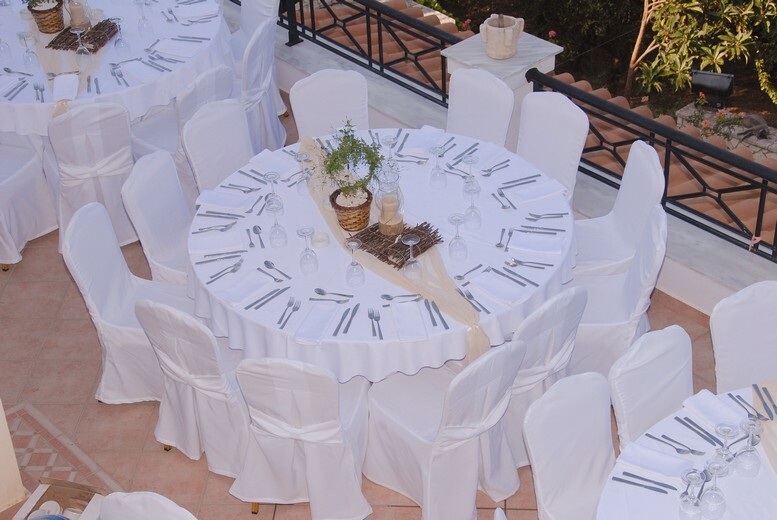 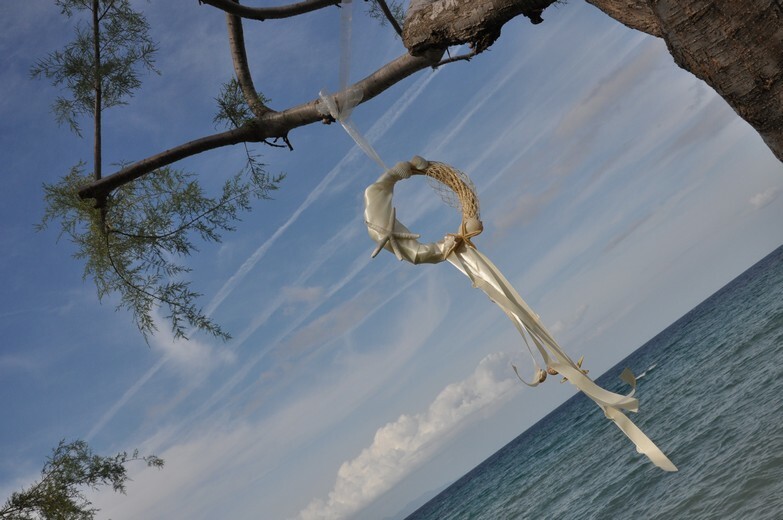 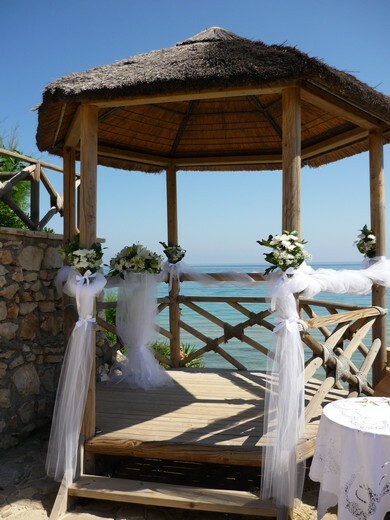 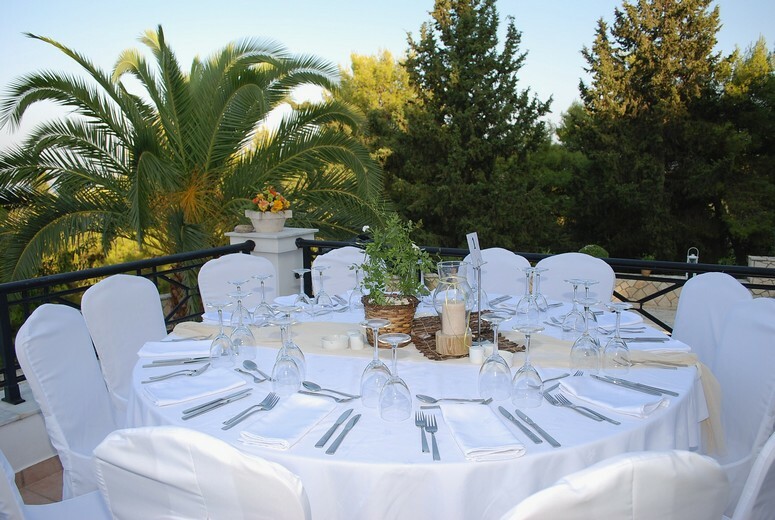 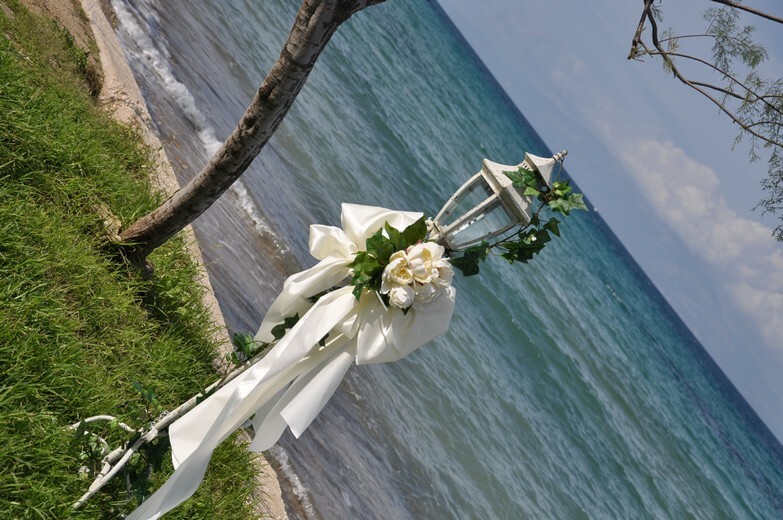 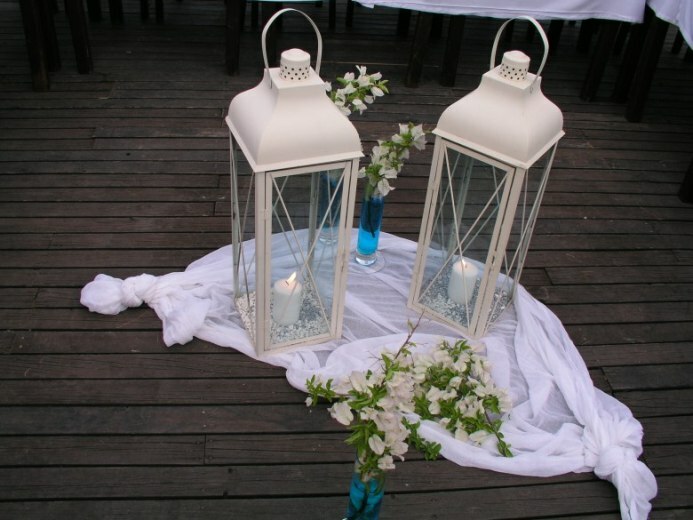 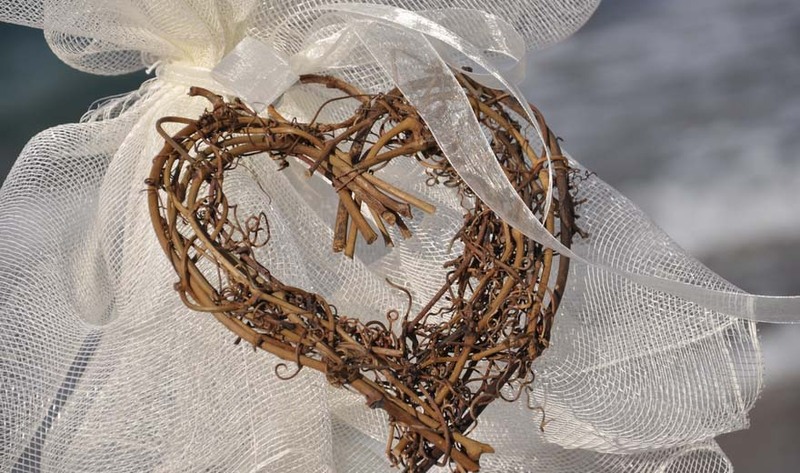 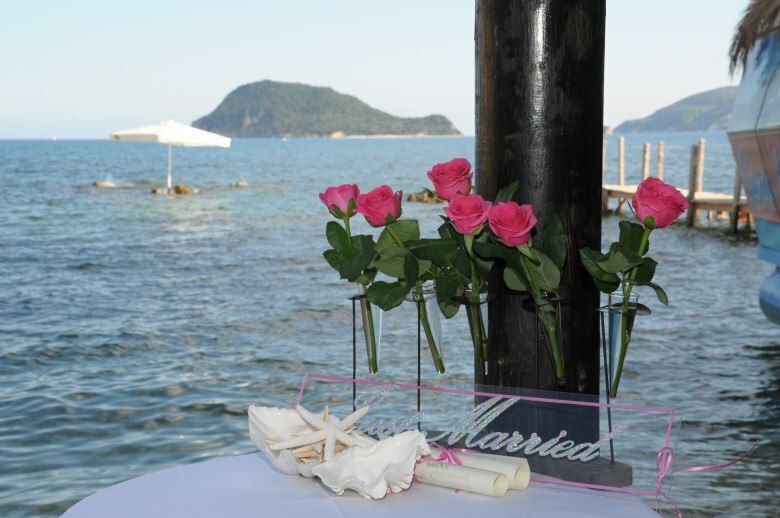 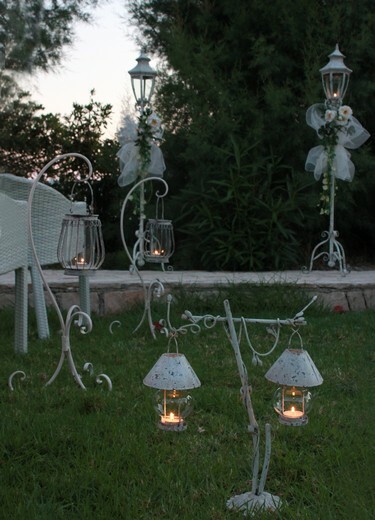 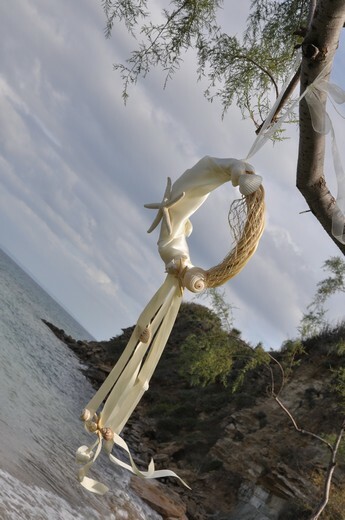 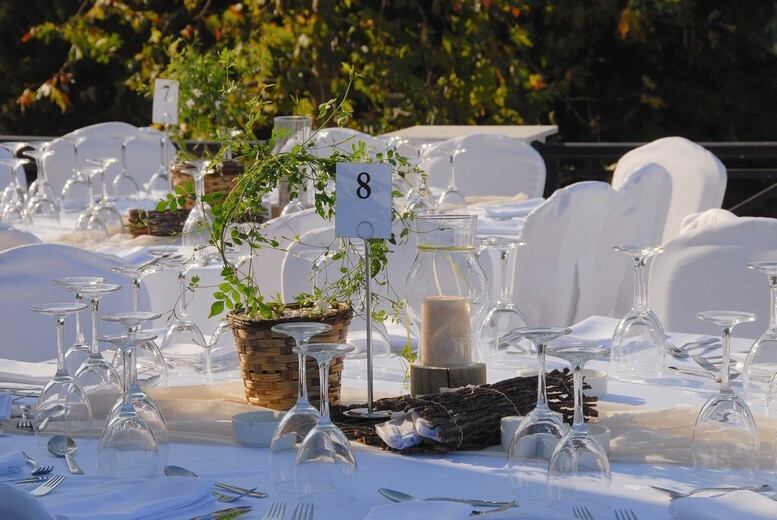 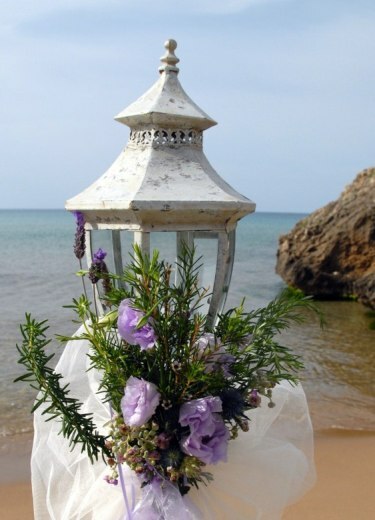 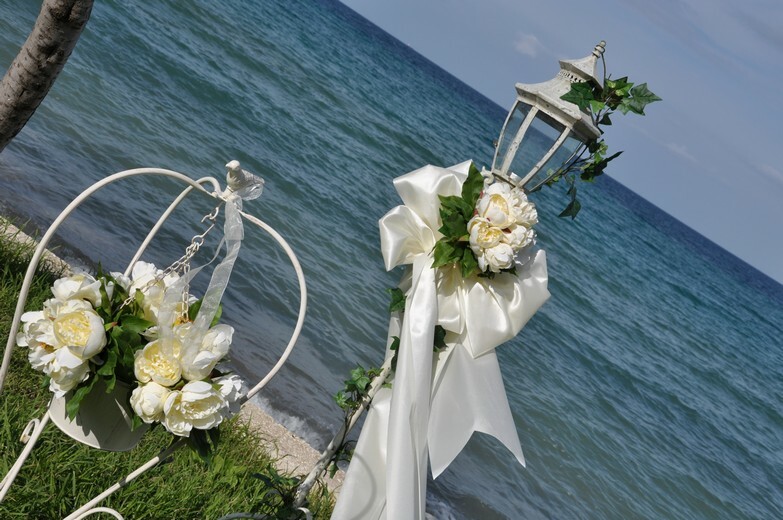 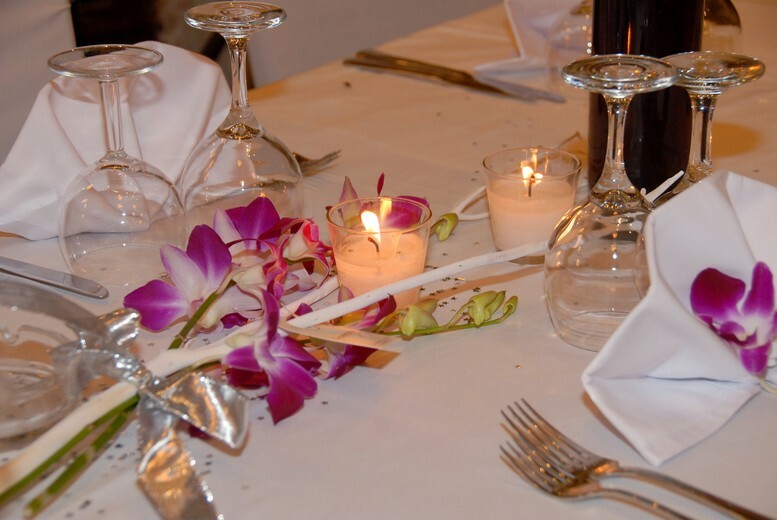 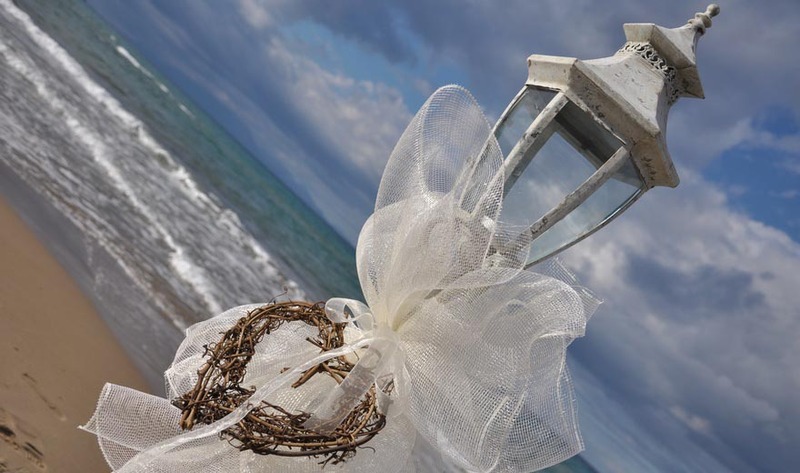 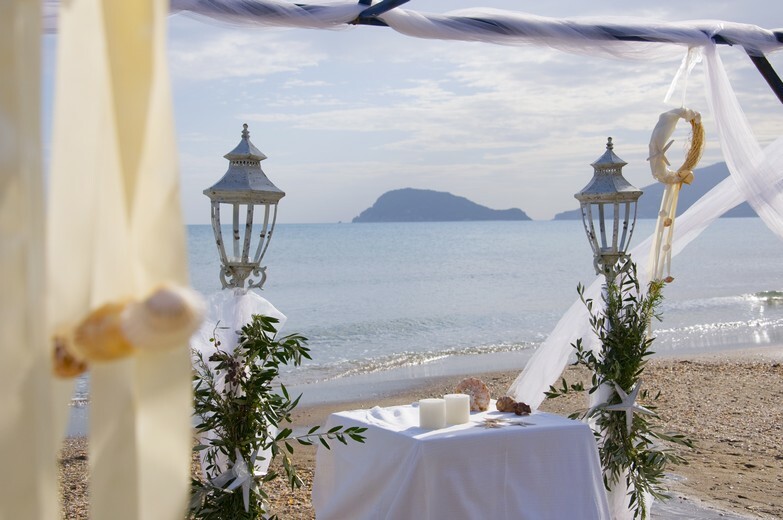 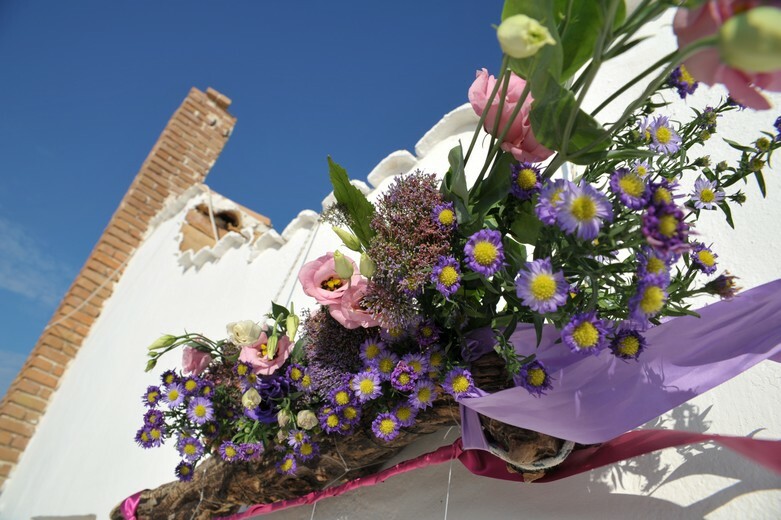 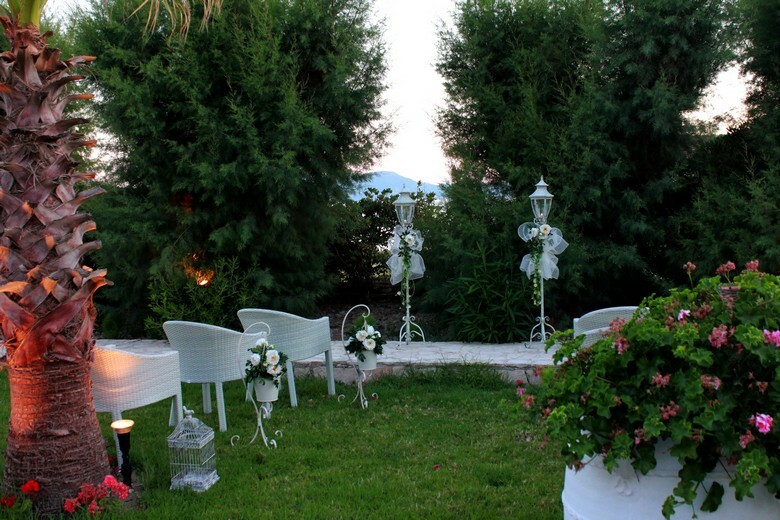 The decoration of the venue can also have that very special rustic Greek look that blends so nicely with the natural beauty of all the outdoor wedding venues. 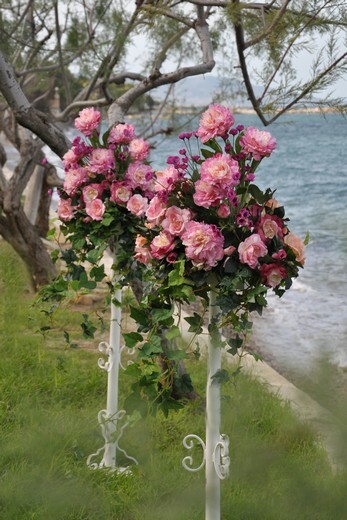 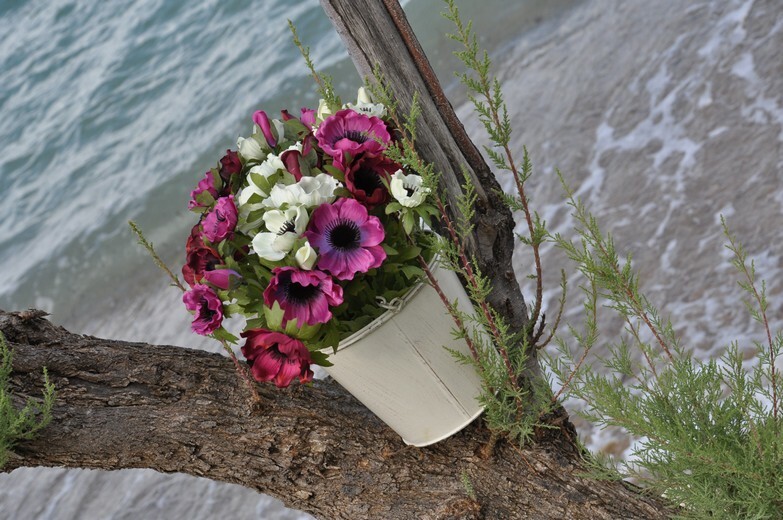 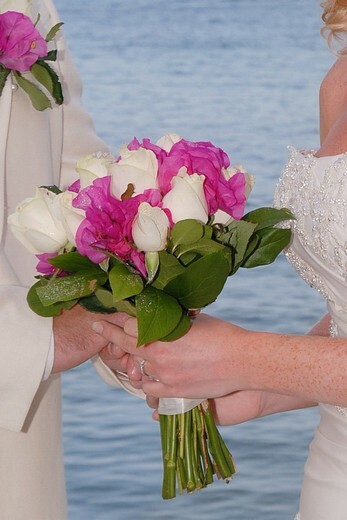 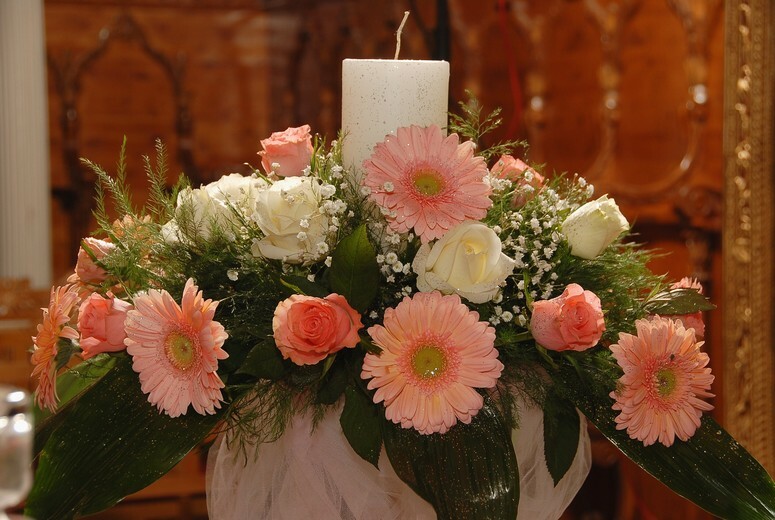 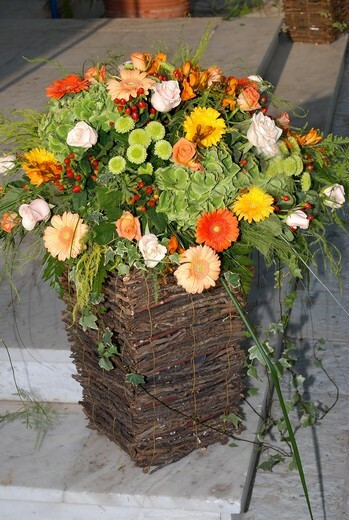 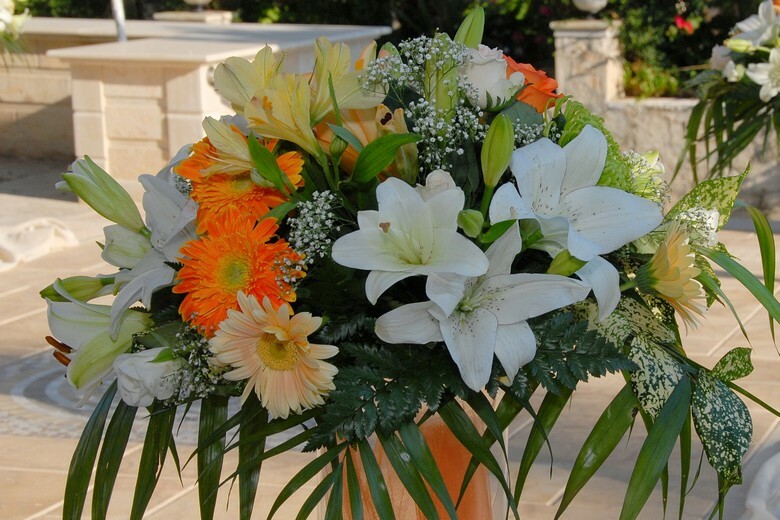 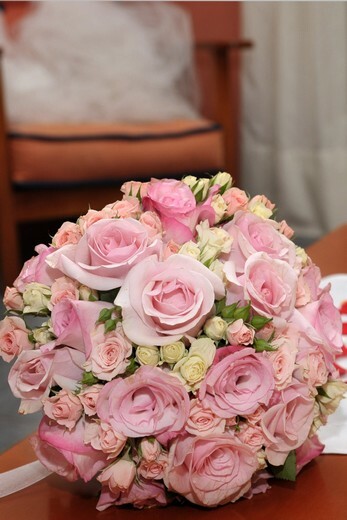 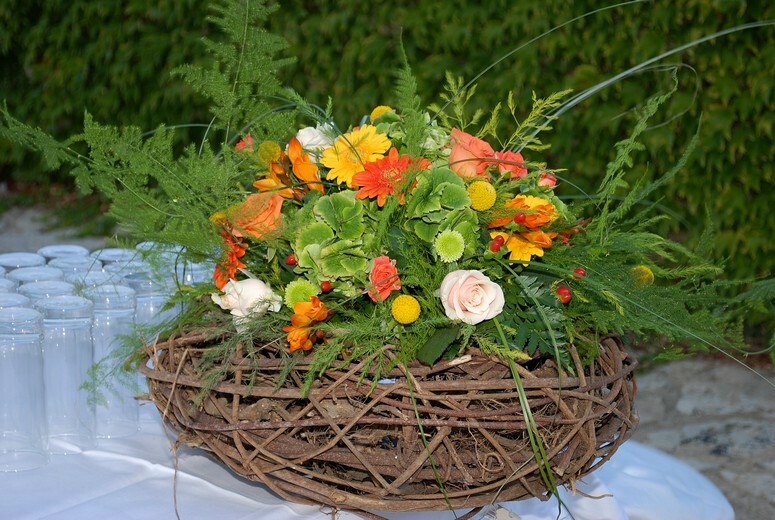 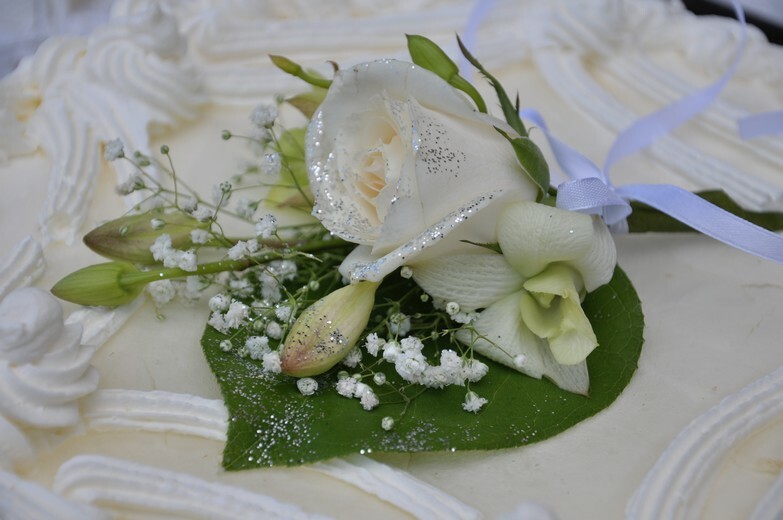 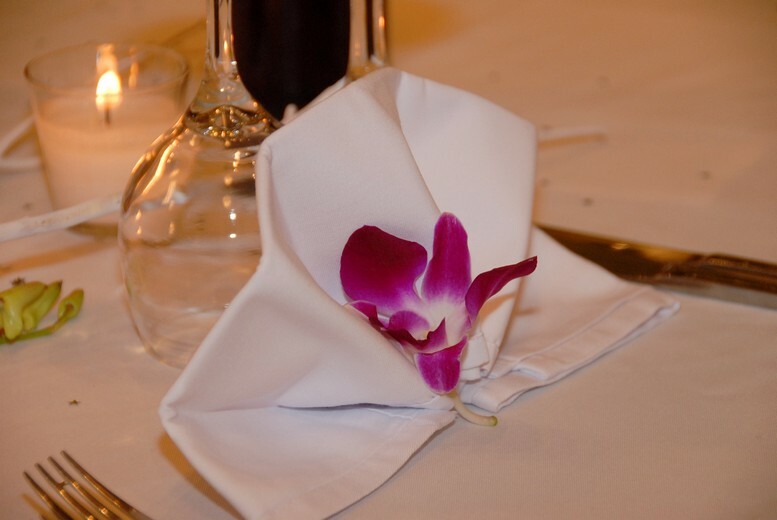 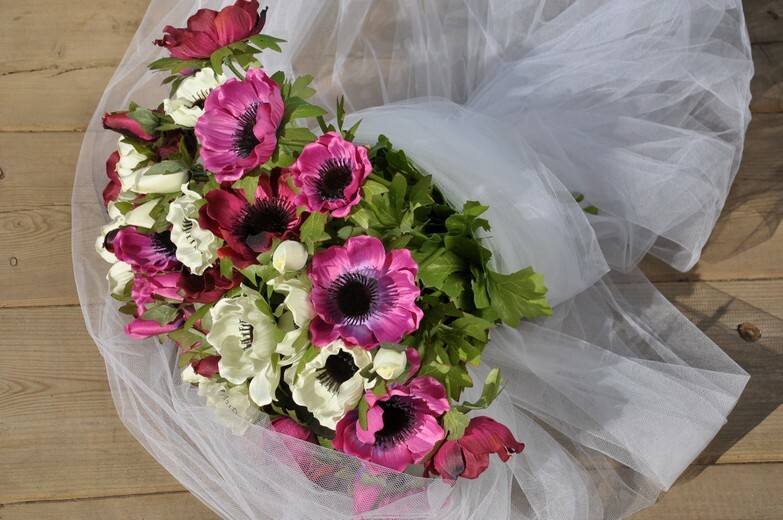 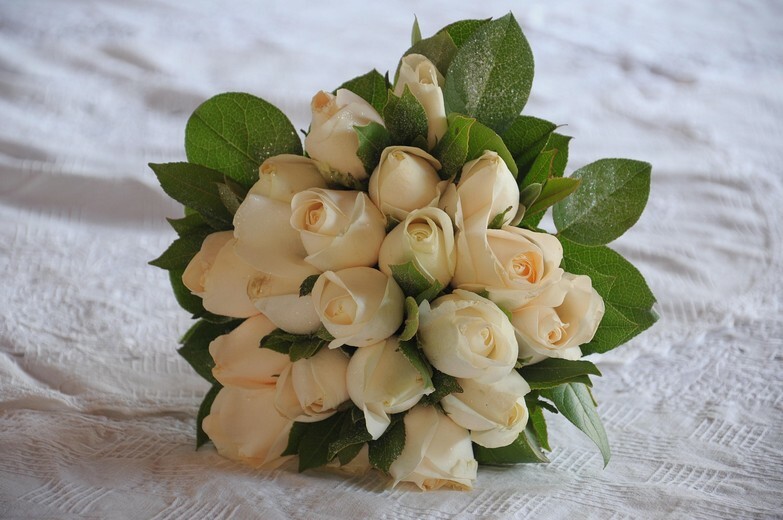 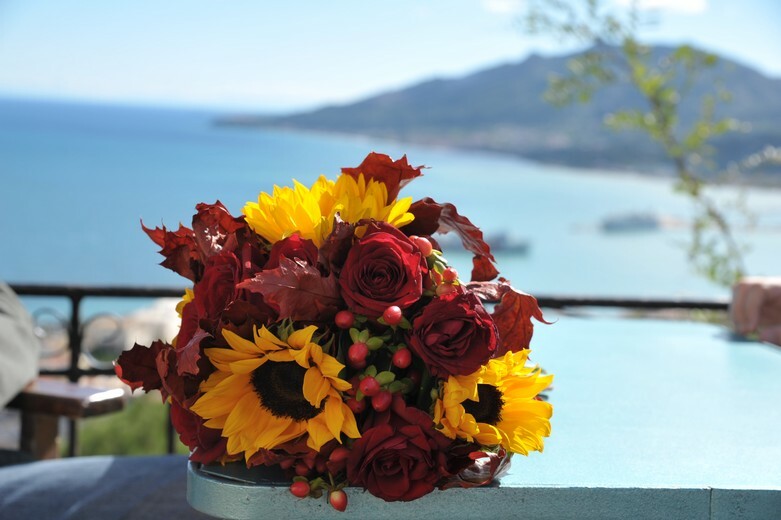 Our florist can make a floral arrangement that is delicate, imaginative with personal style that will be unique and in keeping with your taste and style. 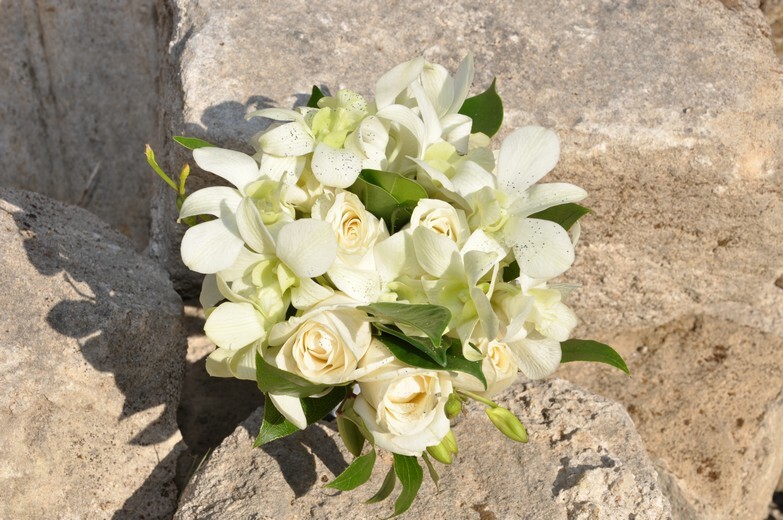 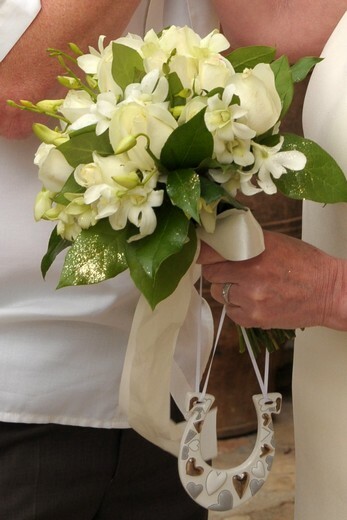 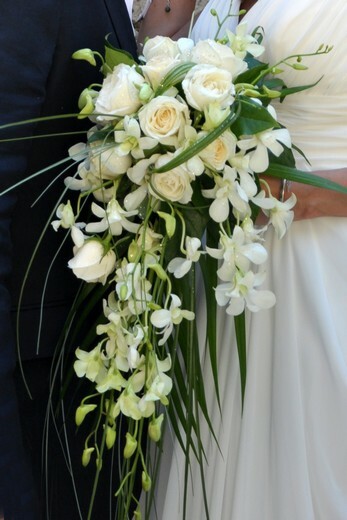 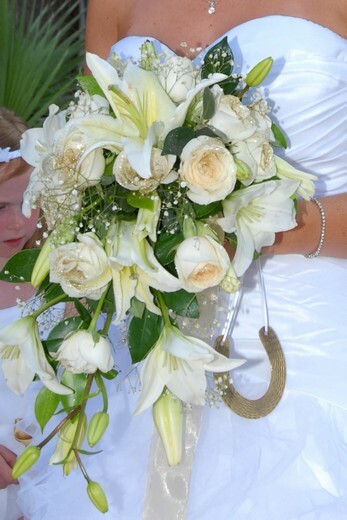 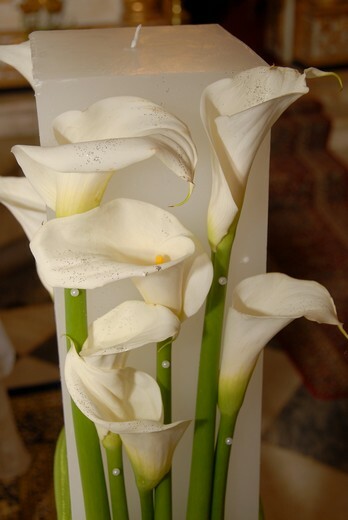 If you want a more classic look for your wedding and want to walk down the aisle with the all time favourites in your hands: roses, orchids, lilies, callas..., luxuriant or minimalist in style, you will still have a huge variety of colours and shapes to choose from. 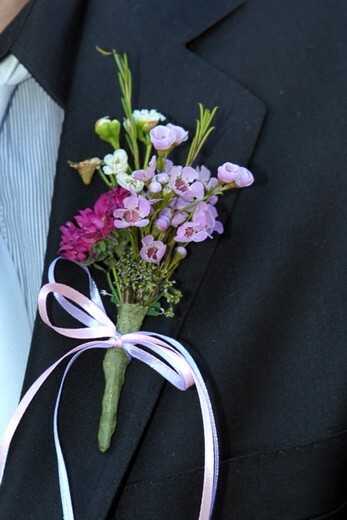 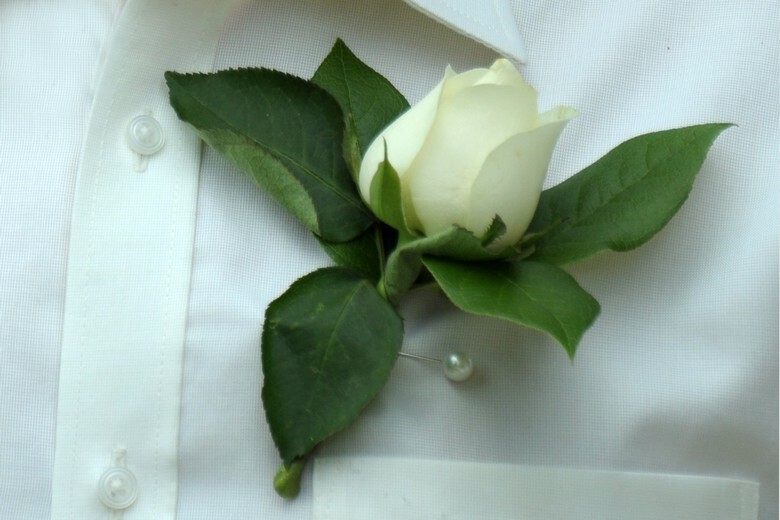 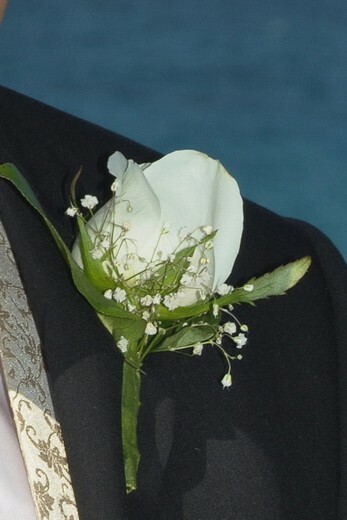 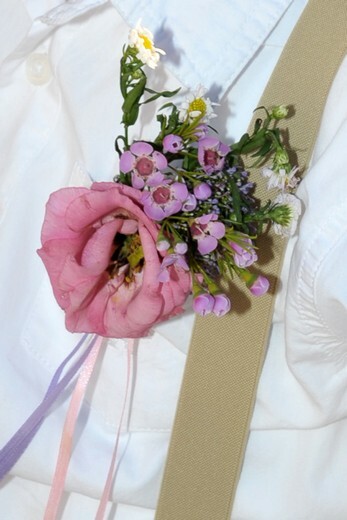 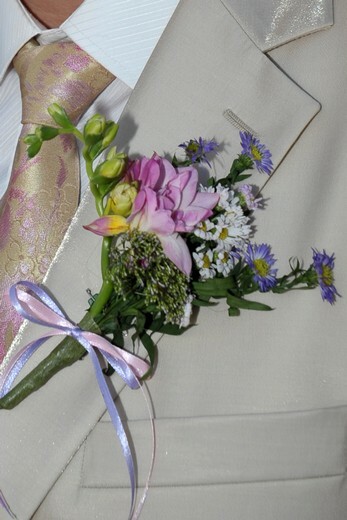 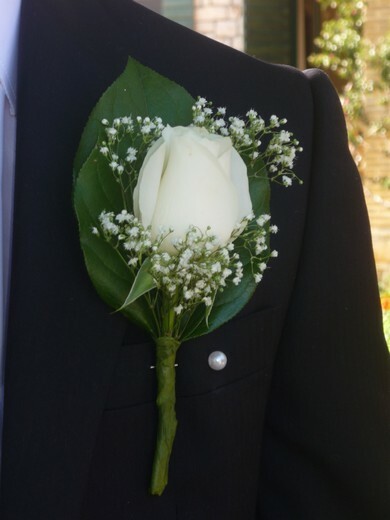 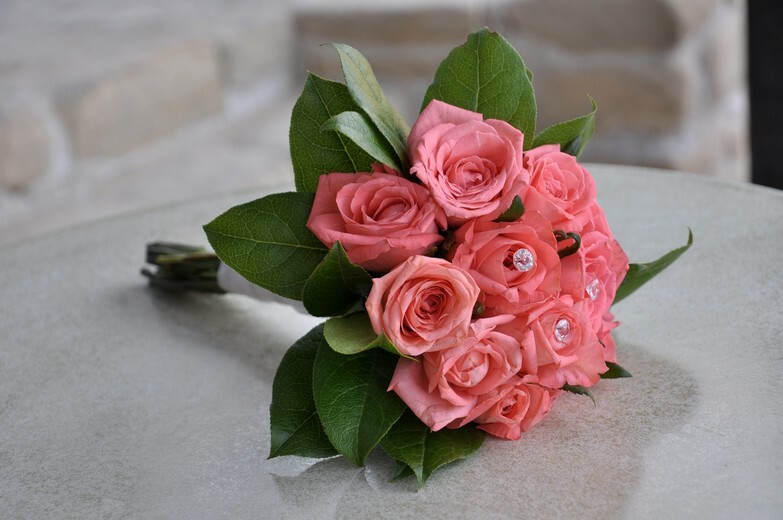 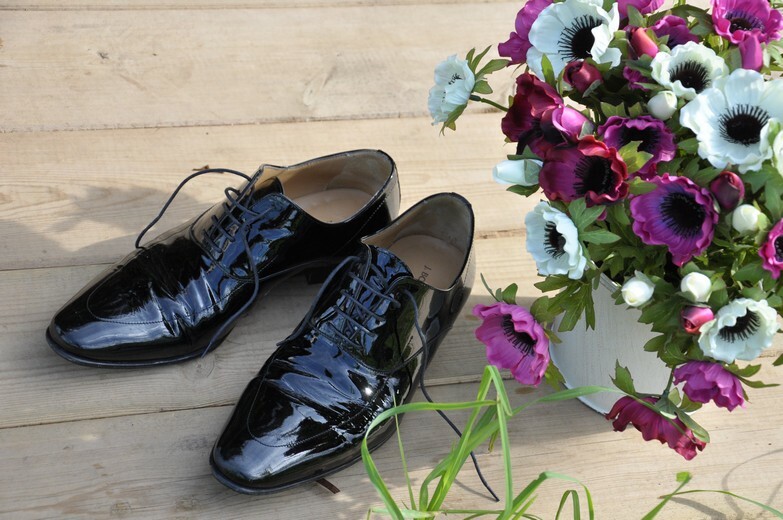 The Bridesmaids’ bouquets, the Groom’s and the Groomsmen’s buttonholes will all be made to match your Bridal Bouquet and the floral decoration of the venue as well. 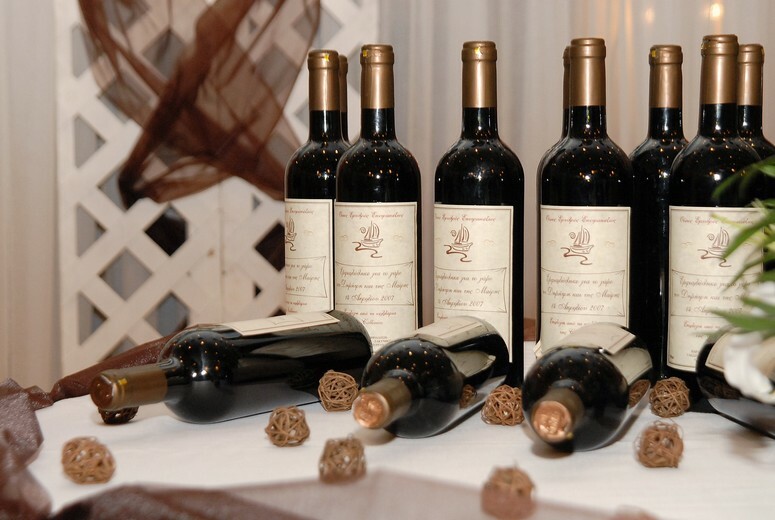 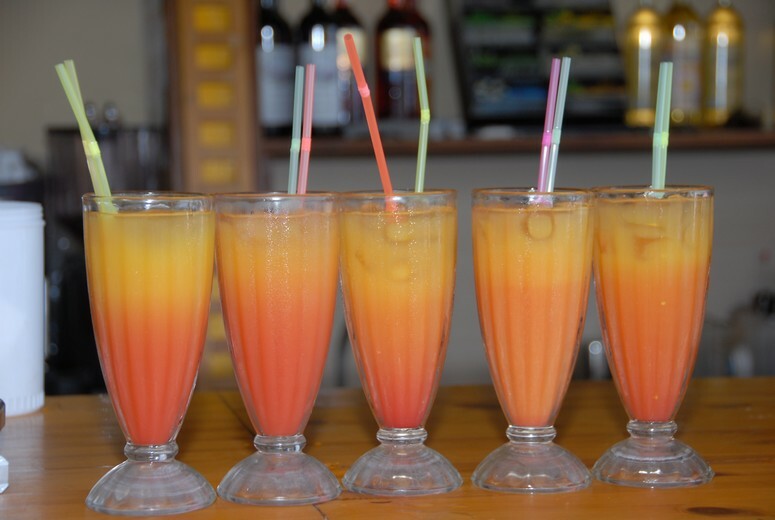 The selection below is only indicative as the choice is endless.